Wisconsin Pet Care is the highest-awarded and rated Dog Walking and Pet Sitting service for the city of Fox Point. Located in Milwaukee County, Fox Point is timeless beauty; almost like going back in time, the area is well preserved with stately mansions and forests surrounding private residences. Our Fox Point Dog Walkers and Pet Sitters will come and visit your home while you are away at the office or while you are enjoying a much needed vacation. It beautifully maintained with so many subsections to choose to walk too and it doesn’t matter where you start because it goes in a circle. You start above lake level by about 200 feet and you walk down a very nice paved road that takes you to the lake. Once you reach the lake feel free to jump in and enjoy a swim with your doggie, I know I do. The sections throughout the park are grass surrounded by trees. For being such a beautiful park I don’t run into a lot of people, which adds to the peacefulness of the park. You can have a wonderful picnic and spend a few hours there. Plus the drive through Fox Point is quite nice as well, check out the houses and enjoy the nice paved road. 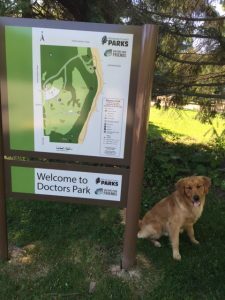 Ready to Book Your Dog Walking or Pet Sitting in Fox Point WI, 53217?